Seven: What Did They Do This Summer? Members of the Messiah College musical group Seven. As far as musical talent goes, Messiah students boast a lot of it and in more ways than one; from the students that practice their music in dorm stairwells, to the musicians who meet at 10pm on a Wednesday to rehearse for chapel the following morning. This dedication and passion for music extends beyond the academic year as well and manifests itself into the band, Seven. Originally starting as an acappella group called New Light, the band toured over the summer. As the group began to reinvent itself, it evolved into the rock, worship band that is now known as Seven. Diana Kleinmanns, who is currently studying music in Nashville, TN was able to give a glimpse into the band by sharing who they are and what they do. 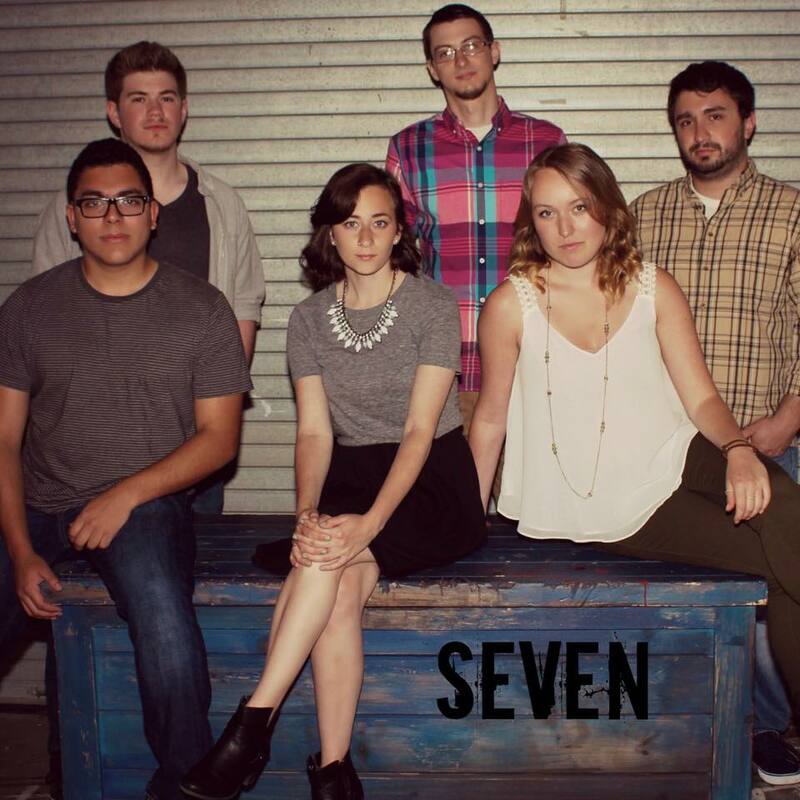 “Seven is a worship group that serves primarily over the summer. We travel around to different churches and camps to provide leadership for worship in whatever capacity the organization needs! We’re also involved with the admissions office so that wherever we go we’re able to provide information to anyone who might be interested in Messiah,” explains Kleinmanns. Over the course of the summer, Seven was able to travel to different churches and camps and minister to youth all across Pennsylvania. The band usually has seven members, but this past Summer the band only consisted of six members, which allowed the team to be a little more creative with the band’s title. “We liked to think about the name as being 6 people and God as our seventh member,” shared Kleinmanns of the bands’ creative twist on the name giving it more value. Some of their best memories of the summer came from camps that were a block away from beaches to laughing with the other band members. They both also expressed how Seven impacted them on a deeper level. “The most rewarding aspect for me was getting to interact with the youth. And it’s funny that that is what became my most rewarding part of the summer because that is what I was most worried about going into it. To be able to worship alongside so many youth from so many different backgrounds and see the passion they have for life was eye opening,” said Fahnestock. “For me, the most rewarding aspect of being in Seven is getting to join in worship with people from so many different settings and circumstances. It’s incredibly humbling to be able to see God working through our music and leadership,” expressed Kleinmanns of her similar experience. As for students looking to get involved with Seven, both Fahnestock and Kleinmanns encourage anyone with a love for music (and Jesus of course!) to look into being a part of this summer ministry. “Our advisor often talks about a principle called ‘Skillful hands, integrity of heart’, when discussing worship leadership. If you are a competent musician who also demonstrates integrity and a dedication to Christ, Seven could be a great opportunity for you!” ended Kleinmanns on a note of encouragement.